This is my first post back for a while! 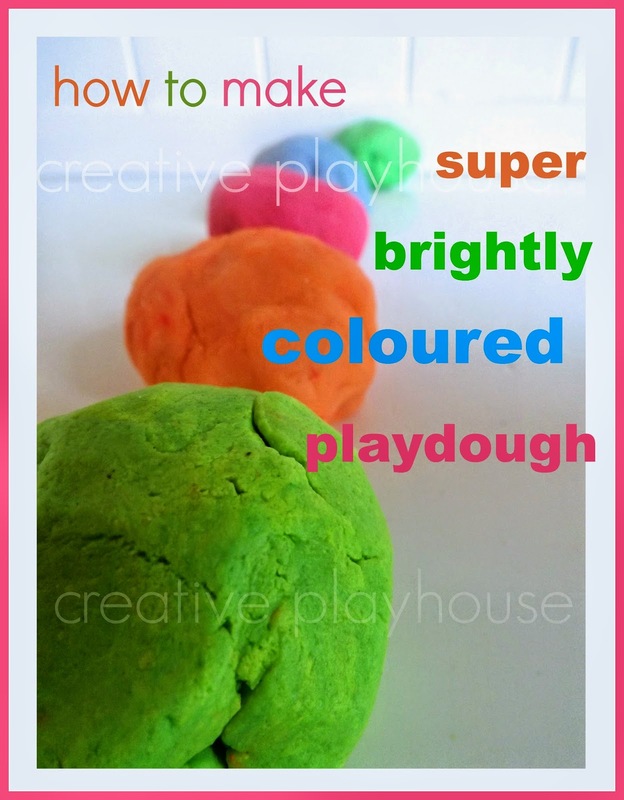 So, Im keeping it simple, with this really easy way to make really brightly coloured playdough. 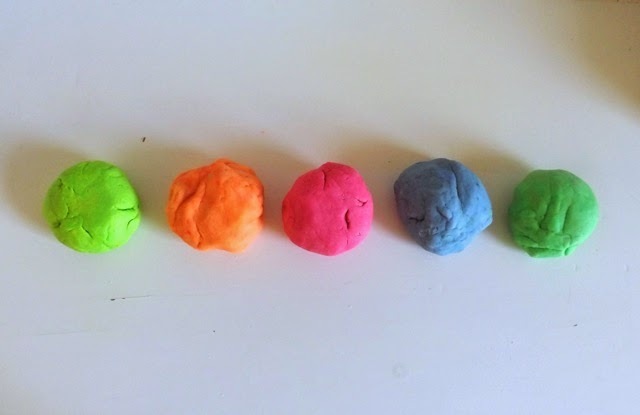 It has no particular use; its just really bright and bold and lovely to play with for any occasion. 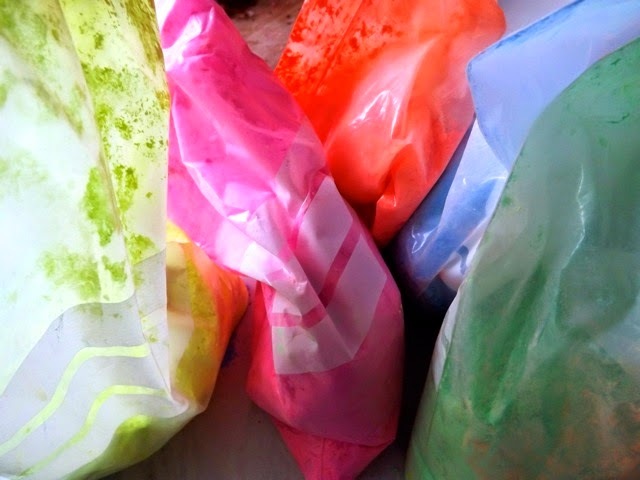 Powdered tempera paint in lovely bright or fluorescent colours! 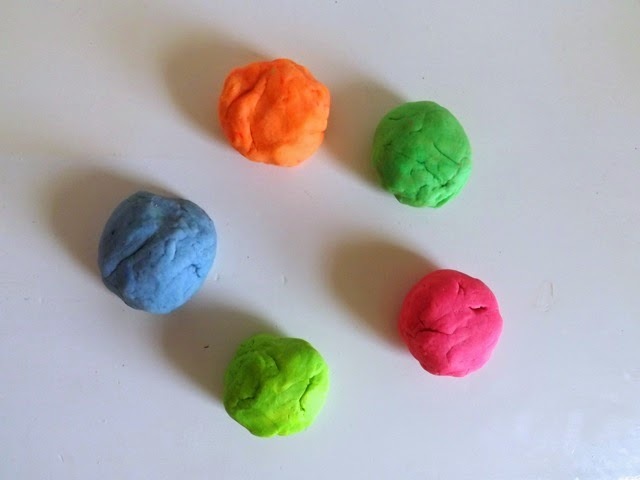 It works better if you mix the colour into the water before kneading, but you can add the powder after the dough is formed (its just harder to mix the colour in, although this might be a nice activity for your little one to be involved with).